Chelsea new manager, Maurizio Sarri is confident of making a couple of additions to his squad before the close of the transfer window in the next 10 days. The Blues have only been able to secure two players in Jorginho and Rob Green since the window opened last month. 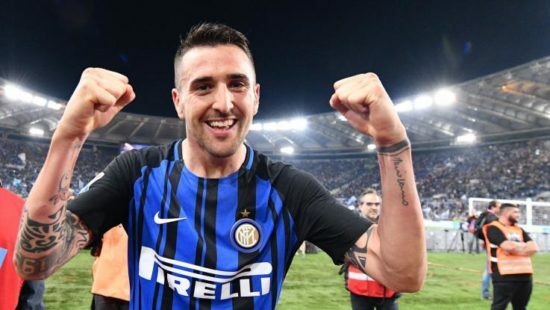 It is reported that the gaffer is not satisfied with the depth of his squad and has told the club to launch a enquiry over the availability of Inter Milan’s Matias Vencino. The Uruguayan player, Vencino, played under the current Chelsea coach while at Empoli back in Italy. His overall game has improved and he is targeted as a long-term replacement for Bakayoko. For Maurizio Sarri to be able to claw him away from Inter Milan, he must be willing to pay the sum of £31 million in transfer fees. Indeed a couple of players will have to vacate the club to make way for incomings. Players like Bakayoko that cost Chelsea £40 million last summer is deemed surplus requirement and hasn’t what it takes to cut it in the Premier league. Also, Drinkwater who signed from Leicester under the previous manager seems not to be favoured by the new Italian trainer and hence will be shown the door or confined to the bench. After a fifth finish last season, the club are in dire need of reinforcement to qualify for the champions league next season. To achieve this, the club have shifted their interest Juventus Daniele Rugani to his teammate Mattias Caldera due to complications in the negotiation of the former, reports have claimed.